Last Thursday the 2006 Scripps National Spelling Bee, the preeminent demonstration of juvenile intelligence in the US, concluded it&apos;s month long elimination of innocently obsessive children from all over the country. 13 year old Katherine Close won with her nervously correct spelling of “ursprache”, which has somehow become an English word, along with “wehrmacht” and “lebensraum” and a few other uncomfortably reminiscent Nazi-era terms. This was the first time though, that the final round was broadcast during prime time and ABC had this year&apos;s honor of trying to produce some kind of attempted response to the recently concluded American Idol show. As I watched the proceedings, I noticed an overwhelming number of Indian or South Asian entrants. Apparently the Indian-American community finds it relatively easier to carve their way into American society through the door of scholastic competition. This was also the first time I heard the term Indian American, which now that I think about it, ironically since 1492 when Columbus erroneously called the natives he encountered, Indians, finally makes sense. Now we can call American Indians, Native Americans as they should have been known, all these years. This year also, there were several words of “Persian” origin in the competition. One that caught my ear immediately came up in the 8th round, the word “Nauruz”. 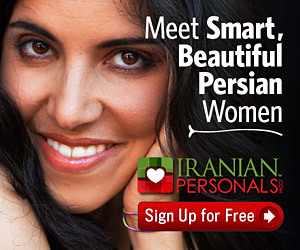 Or as I like to spell it NoRouz. During this year&apos;s NoRouz celebration, I was accosted by several elders in the community who had chided me for not going along with the supposedly UNESCO sanctioned spelling Now Ruz. They argued that a lot of effort had been made to standardize this spelling, that it was even in the Encyclopedia Iranica, which millions of dollars later, you somehow still can&apos;t get a copy of, and that even the white house uses it. The latter, I observed, made my point even more. They didn&apos;t get that one either. I argued that the goal should not be to compel malcontent temporarily emboldened politicians to abuse it, but to enable unaided non-speakers to pronounce it correctly in their own language. The Now Ruz spelling is criminally un-pronounceable according to common English phonetic rules, and the NoRouz spelling is more likely to result in the correct pronunciation by non-Persian speakers. I even proved it with a survey that showed NoRouz was pronounced 98% of the time correct, and Now Ruz only 4%. I was, as expected, dismissed as arrogant, radical and irreverent, by refusing to bow before my even more arrogant elders. Even though they were wrong. Now watching the Bee, I felt sadly vindicated as my fears came true before my very eyes. “Nauruz” the offical said loudly (With the Nau part said as in Gnaw, not, nob. Ruz was a bit closer but the whole pronunciation was completely off by any measure). Poor little Allion Salvador from Ft. Lauderdale Florida, asked dazedly for the etymology or origin of the word. “Persian” came back the answer. “Is there an alternate pronunciation?” he asked desperately looking for any clue. And then it happened. “No, just Nauruz” once again mispronounced. I screamed, “NOROOOOOOOZ AHMAGHS!” as visions of stupid gray haired old men arguing with me and my choice of spelling ran through my head. Here it was for all to see, our chance to have one simple cultural tradition, known by all, during prime time. A chance at respect squandered once again, thanks to our own squabbling ineptitude and general lack of simple logical resolve. Shame on you so called and self appointed elders, shame on you for pushing this miserable spelling on UNESCO, shame on UNESCO for even listening to any of you. And you had better never cross my path.